For paper products distribution in the Northeast, Procter & Gamble had been working with three different partners for warehousing, delivery and yard management. To drive both cost and service improvements, the company consolidated all services with KANE, which operated more than 2 million square feet of space for this customer to support packaging and distribution. 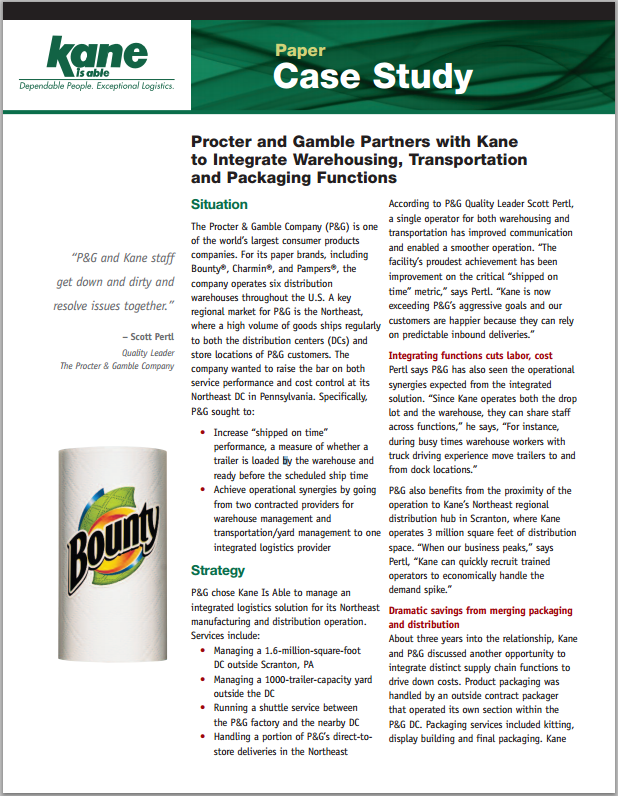 KANE made 500 daily, direct-to-store deliveries for P&G and the distribution center became the highest performer in P&G's nationwide DC network.